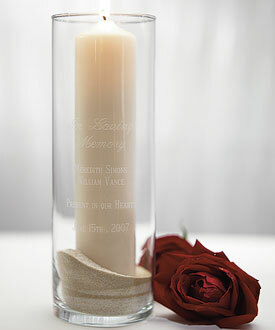 Create a memorial for lost loved ones with this multi-purpose glass cylinder. Light a candle within in their honor or fill it with their favorite flowers. To make the memorial as personal as possible, have it engraved with names or a message.